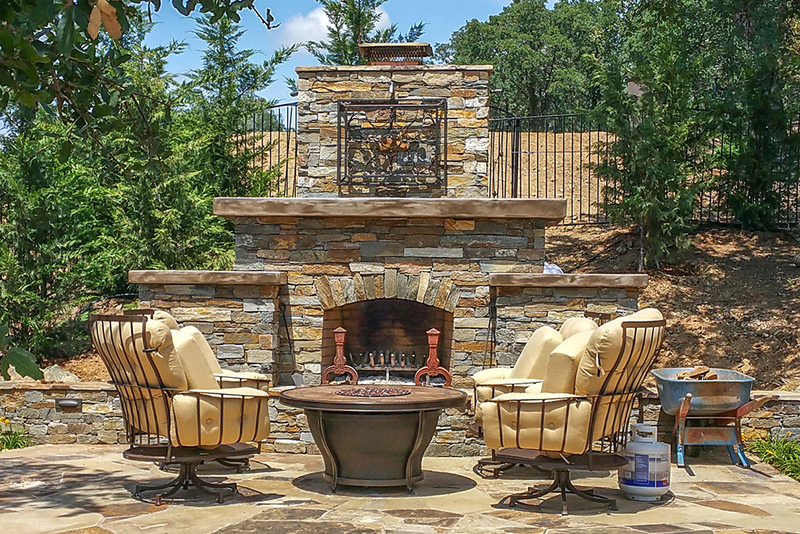 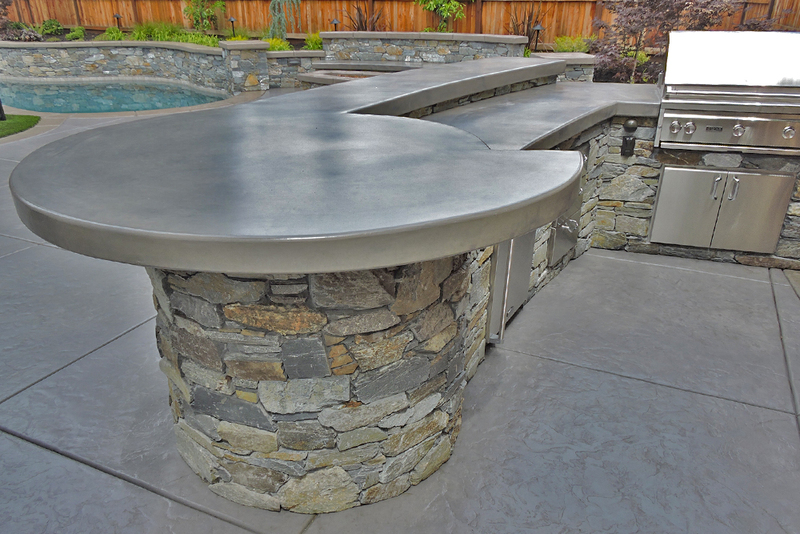 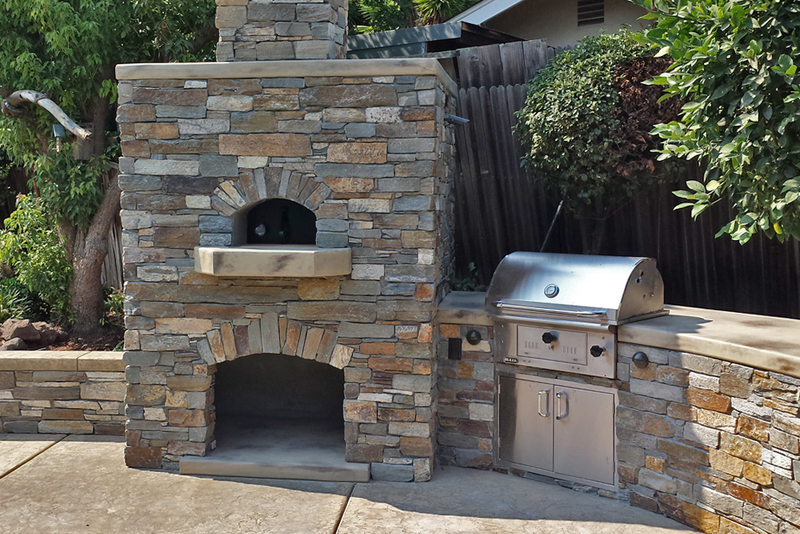 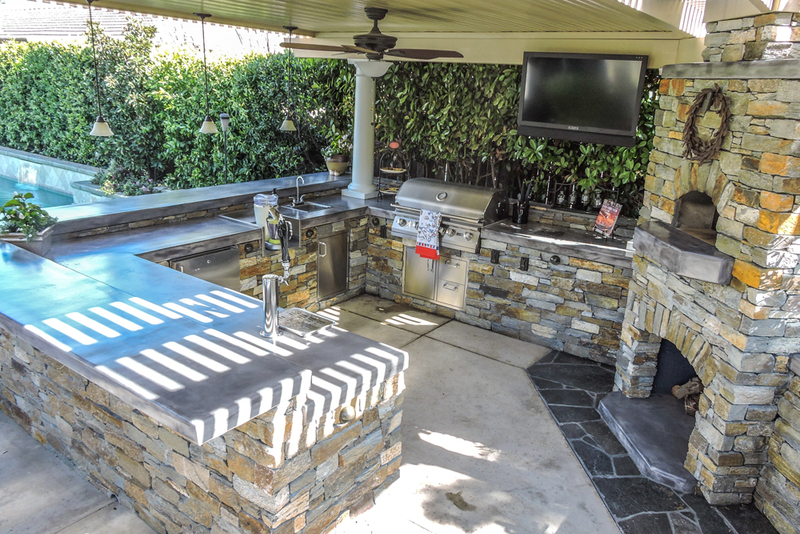 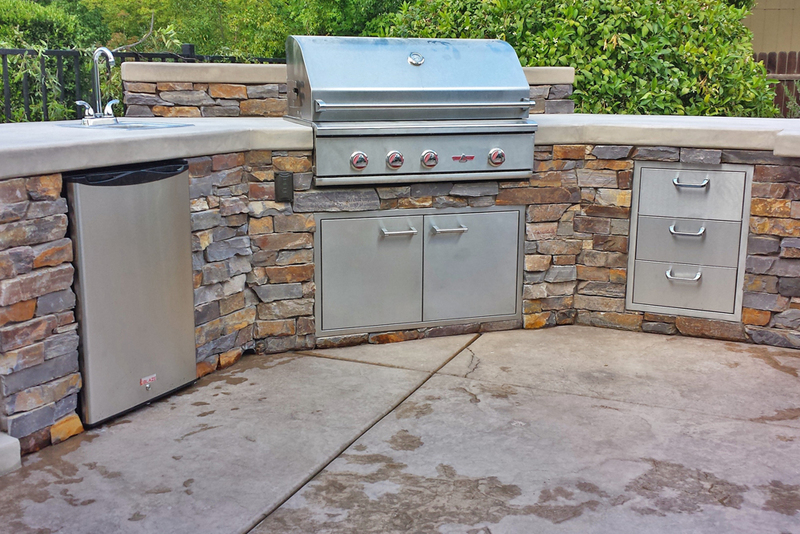 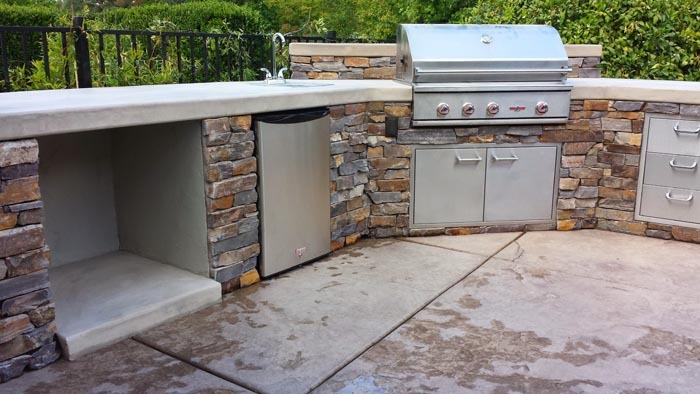 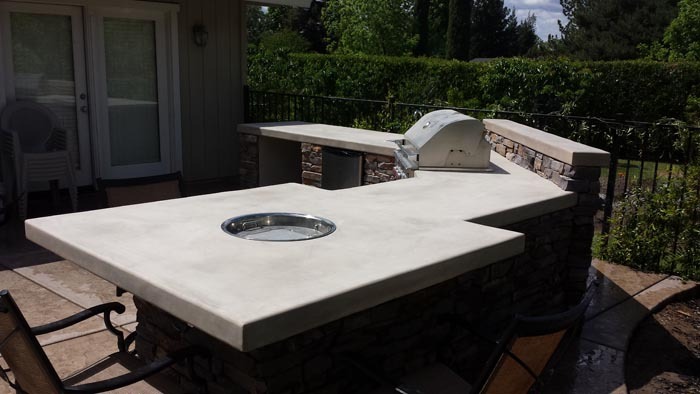 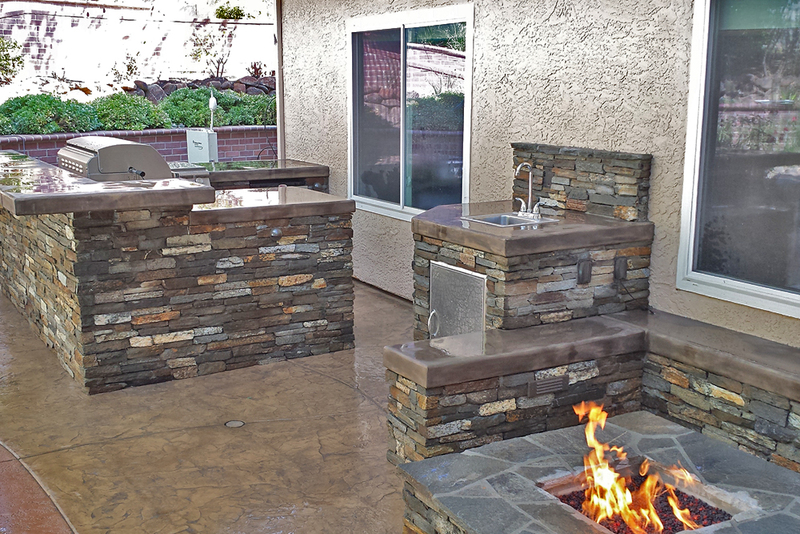 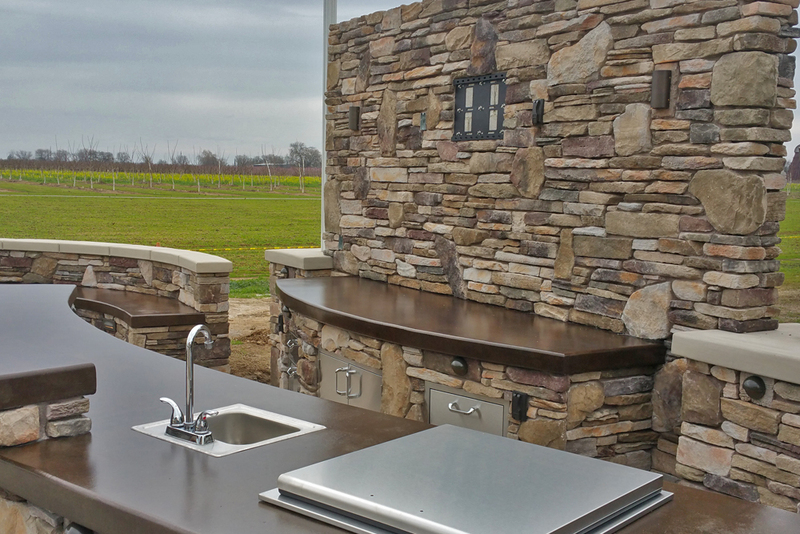 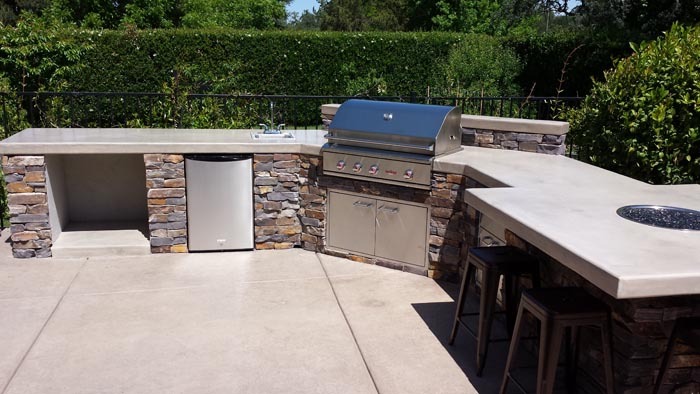 This roomy outdoor kitchen features a built-in dining table that you can put bar stools around to enjoy a delicious cookout without even having to take the food out of the kitchen. 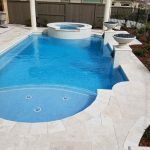 Everybody knows that the best place to be is where all the activity is happening, and kitchens are extremely cozy and pleasant places to hang out in. 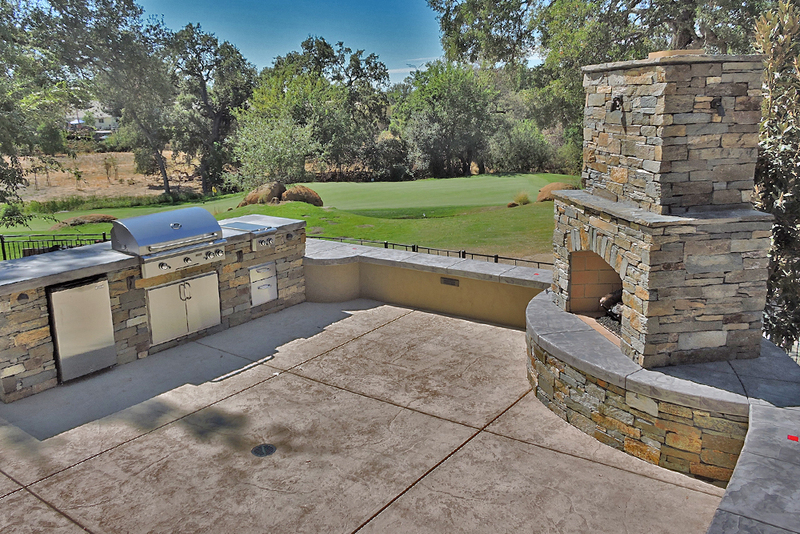 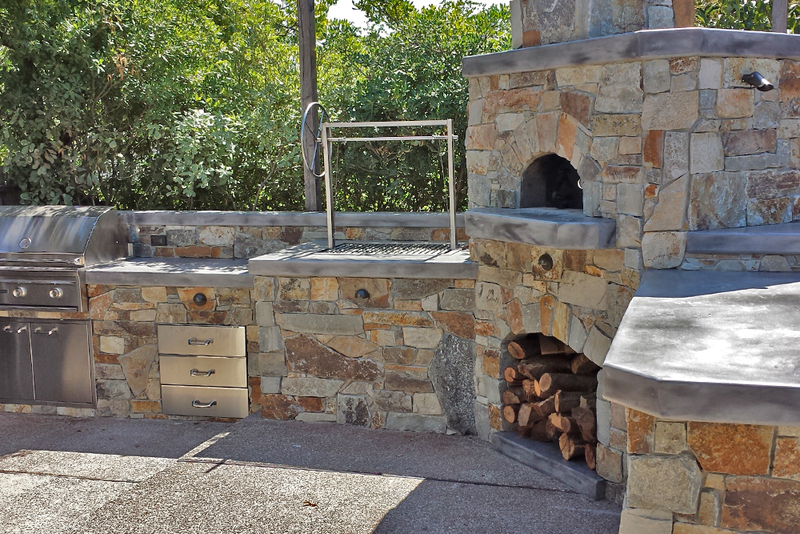 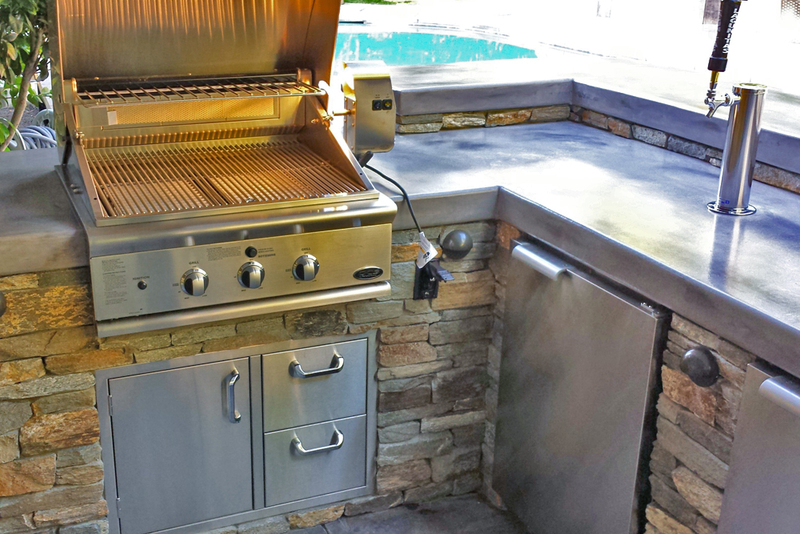 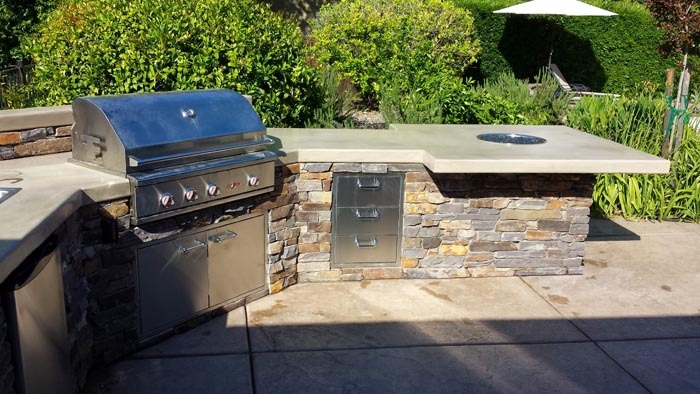 This is even more true of outdoor kitchens, especially when they are equipped with all the luxuries and appliances that any cook needs to pull off an exquisite outdoor barbeque or steak dinner. 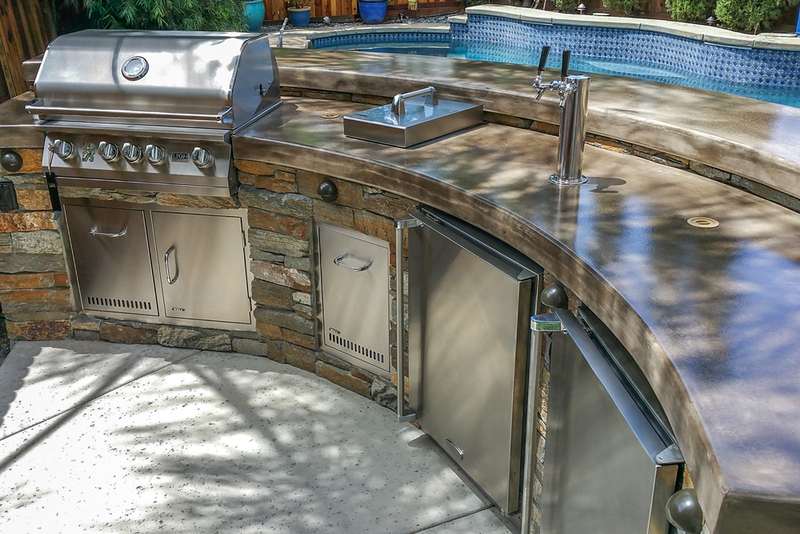 This kitchen has a refrigerator, copious cabinet space, a sink, and of course a huge and beautiful grill for making the best meat your guests have ever tasted. 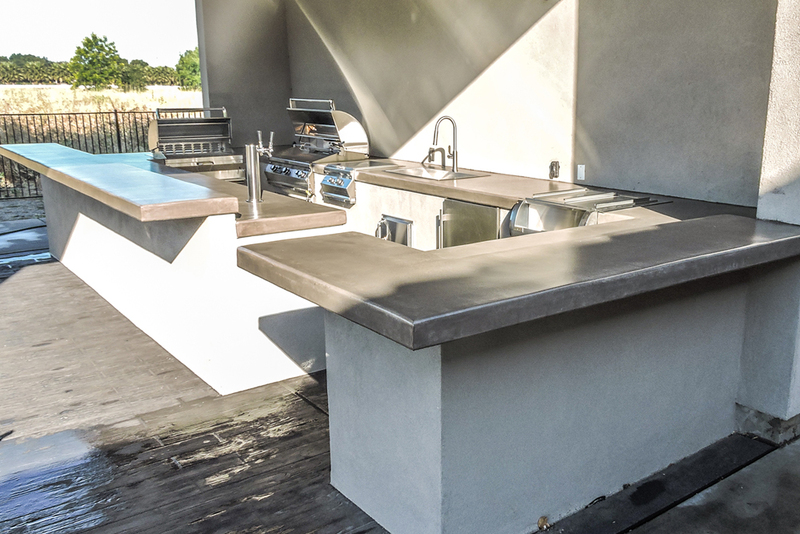 The raw marble-looking concrete countertops are a refreshing contrast to the natural stone that lines the underside of all the countertops and surrounds the cabinets. 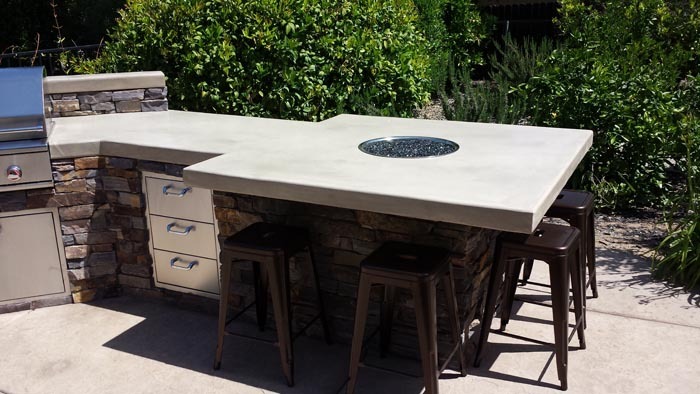 With the look of marble, the effect of concrete is softened so that there is practically no need to take any extra steps to make the countertop not look like concrete; instead, these countertops have a look that is both innovative and classic, modern and old-fashioned. 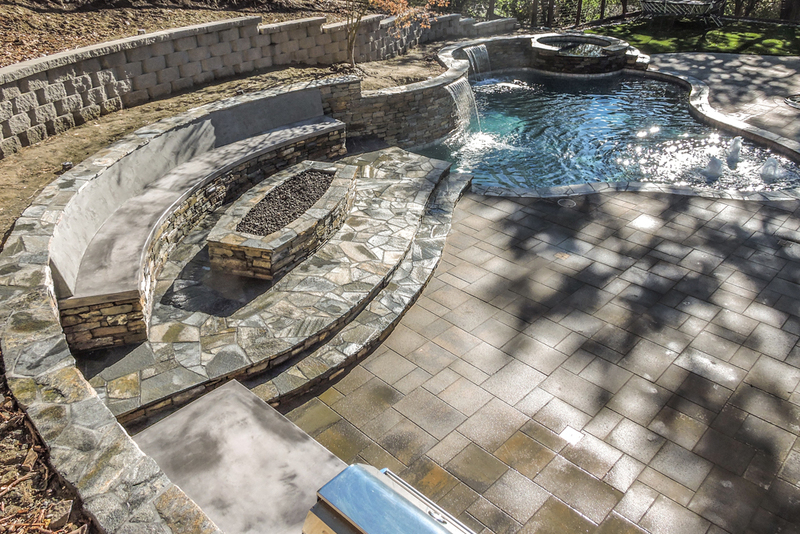 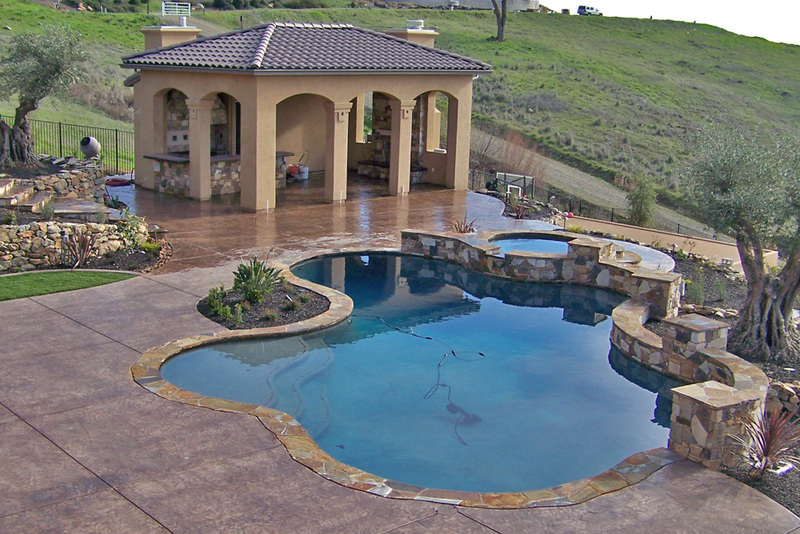 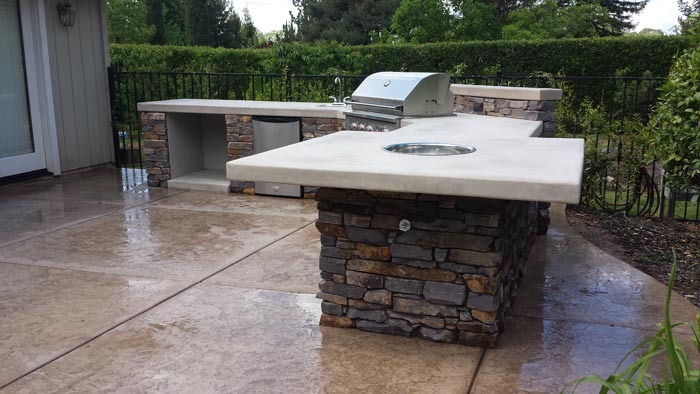 Look down at your feet in this kitchen and you will also be able to see the skill and value of Custom Image Hardscape in installing our signature stamped concrete and creative concrete styles. 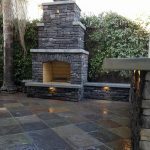 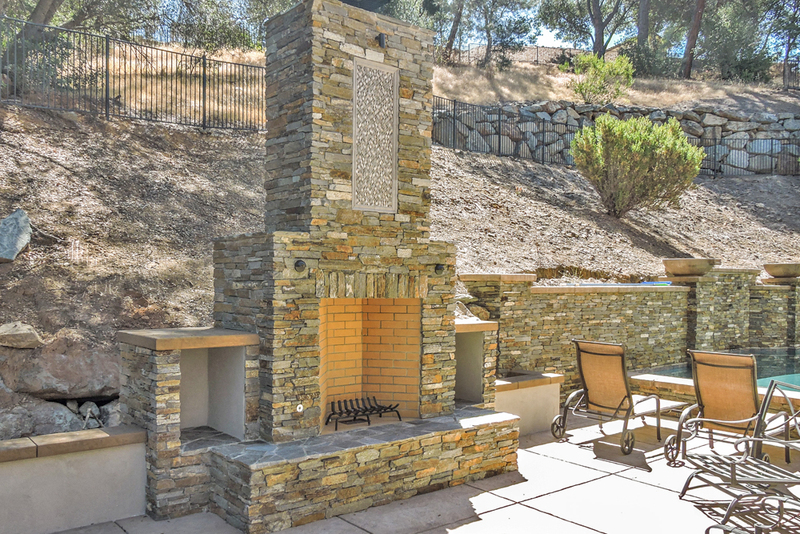 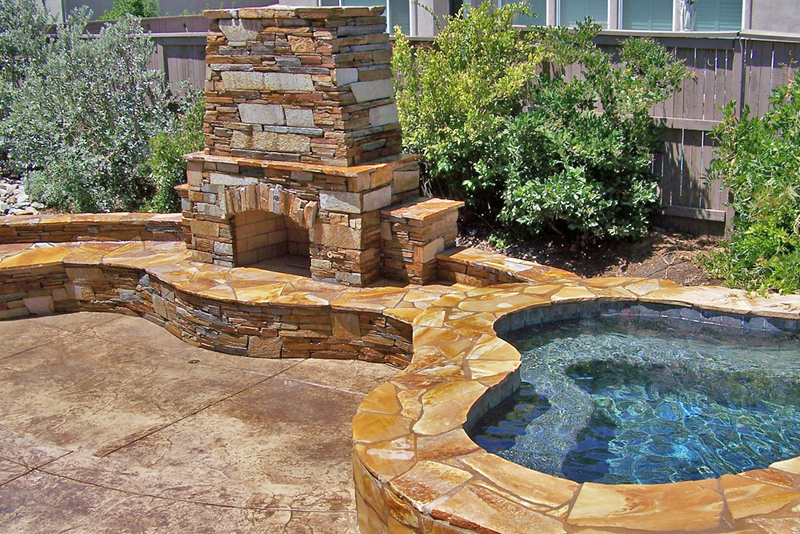 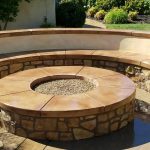 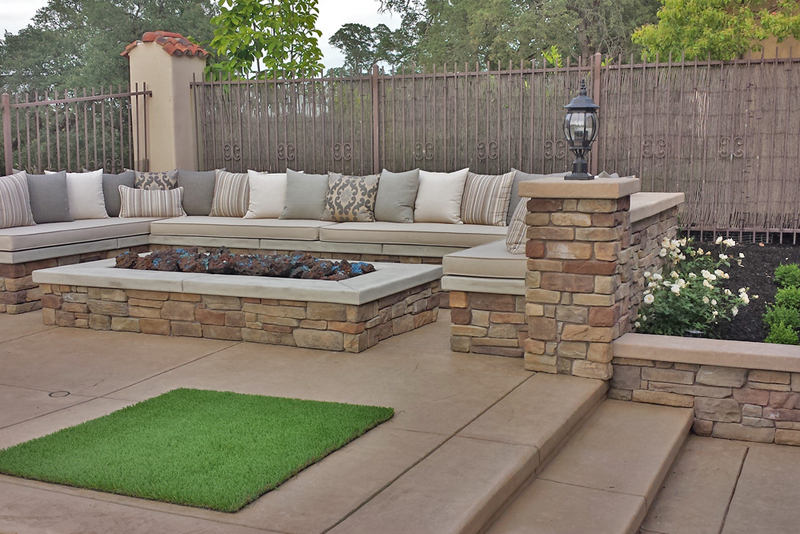 With rich, beautiful colors like in the floor of this built-in kitchen and with its relatively inexpensive price tag, it’s no wonder that so many people opt for decorative concrete for their patios and outdoor living spaces. 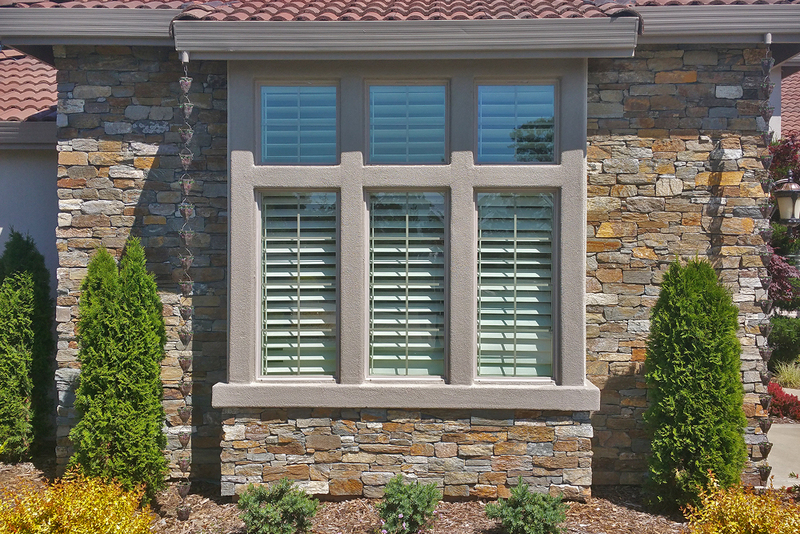 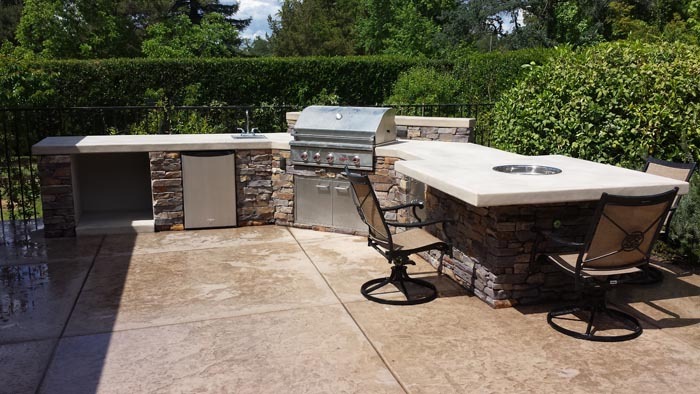 As with all of our kitchens at Custom Image Hardware, we are thrilled to do custom work! 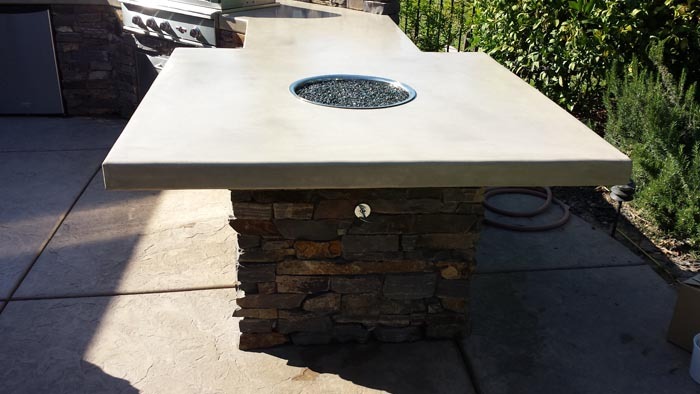 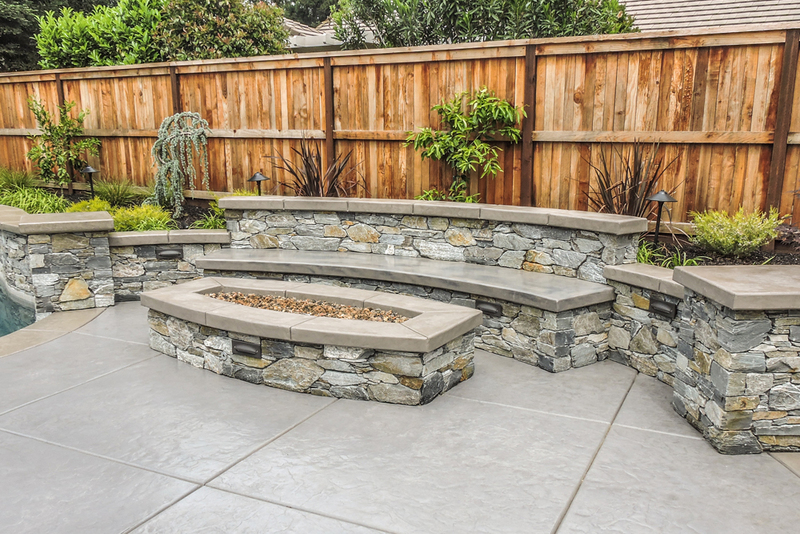 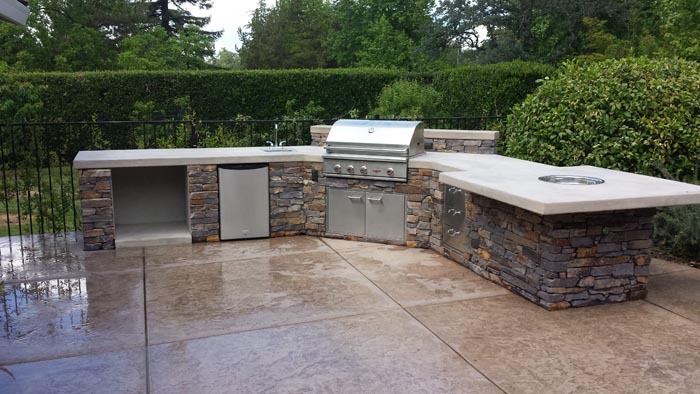 Please let us know your requirements including how much space is available, whether you can get gas for your grill, and any other important information that will help us design the perfect outdoor kitchen that can meet your needs.